Florida, January 26, 2016-- Juanita Destra, a great and brilliant medical worker, author and publisher announces the release of her latest children book titled, 'Fluffy the Bird'. The book reflected Juanita's years of experience in writing and publishing, which makes her newest work a must get for every parent. Juanita Destra's new book was written with the future of today's children by employing the best way to get to the heart of children in presenting the book through storytelling. Not only that the book was written using storytelling style, it was well connected and arranged that parents will not have to consult the author or any writer to understand the meaning and relate it to the kids accordingly. The new children book from an excellent writer, Juanita Destra is not a book that will only educate, entertain and inspire kids, but was written and equipped with the capacity and ability to instill in the proper values needed to succeed in life. Apart from that, another great advantage of Juanita Destra's Fluffy the Bird children book is the opportunity for parents or guardians to learn how to properly communicate with the children and inculcate great value that helps in shaping the kids destiny. Also, it encourages reading culture which ignites the kid's imagination and creativity. 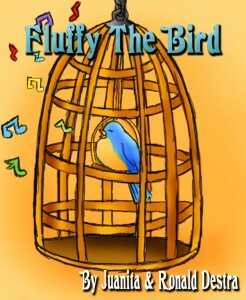 Fluffy the Bird is a must have book for every parent that wants to raise admirable children with success mind-set. (c) 2016 Juanita Destra & Destra World Books Publishing, LLC All rights reserved.